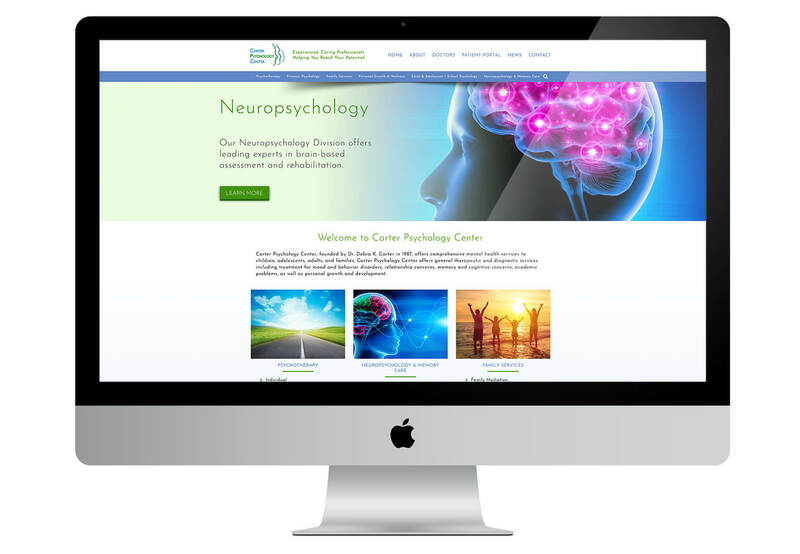 The Carter Psychology Center came to us with a very dated site that wasn’t mobile-friendly. Their practice has many different areas, which we displayed in a second navigation. We gave them a slide-show which cycled through the practices. We used positive stock imagery throughout the site, rather than pictures of people in despair, in order to project visualizations of where patients wanted to be. The website predominantly uses lighter colors, with added green and blue to produce a calming feeling. Additionally, the thinner typography of the headings reflects the gentle and caring approach of the practice. Another requirement was to create a Staff page in which individual staff members could have their individual biography pages. So we created a custom plugin that an admin can easily update with additional fields for staff photography.